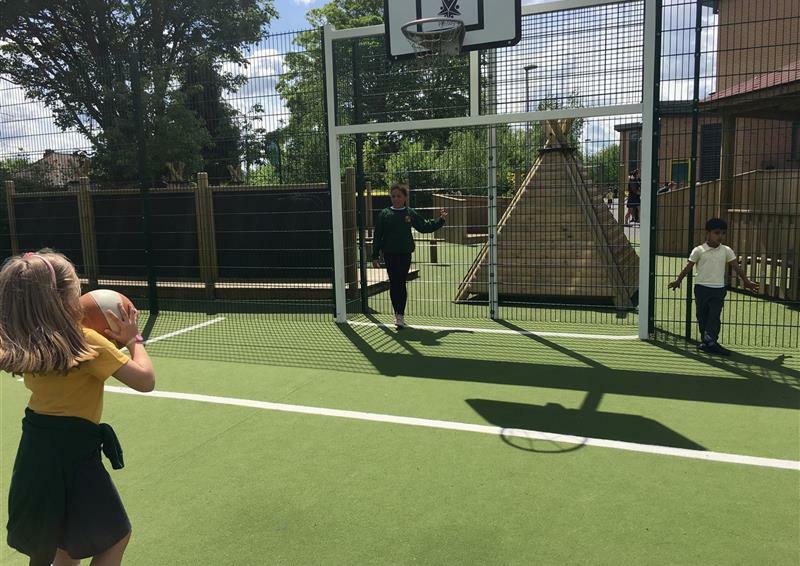 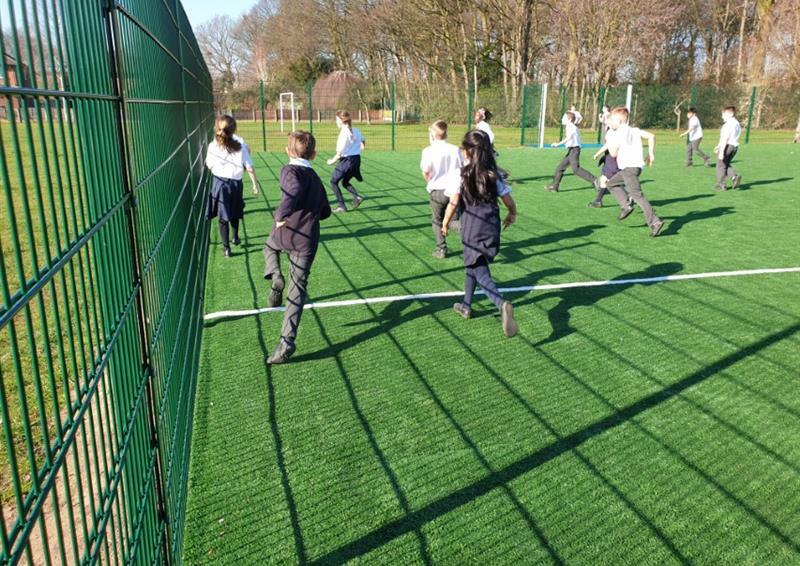 A stunning, aesthetically pleasing MUGA, satisfying a wide range of sporting demands. 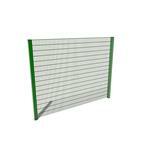 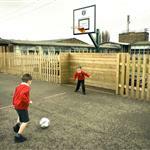 Our rigid and welded mesh fencing systems withstand the rigours of sports play. 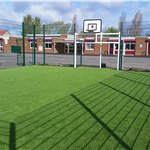 Our MUGA's are built to your standards and specification. 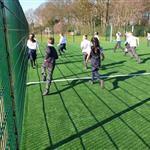 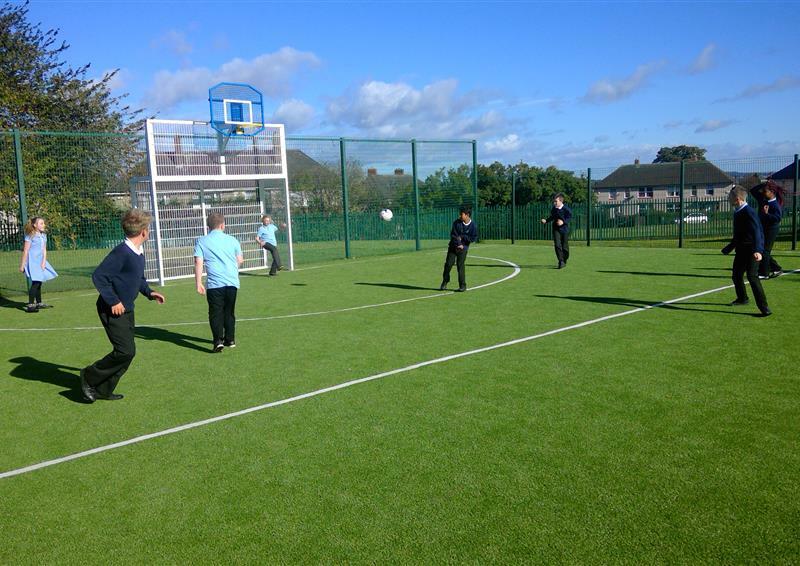 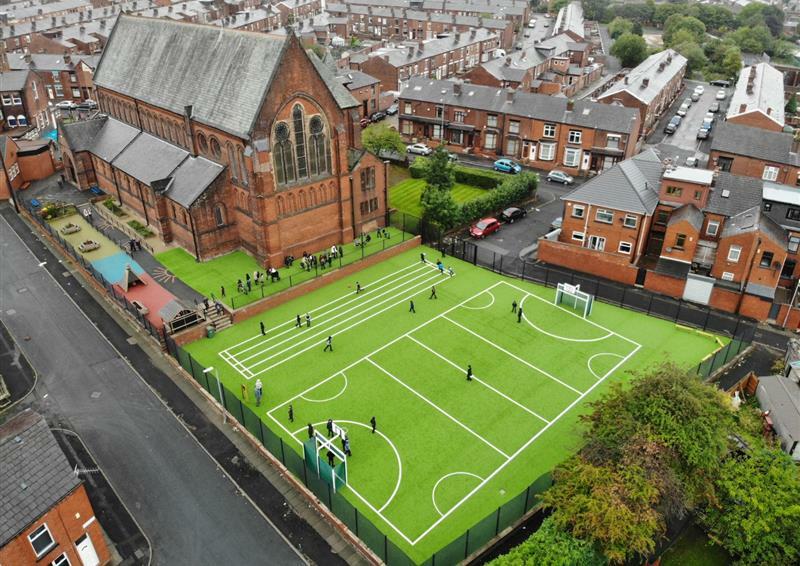 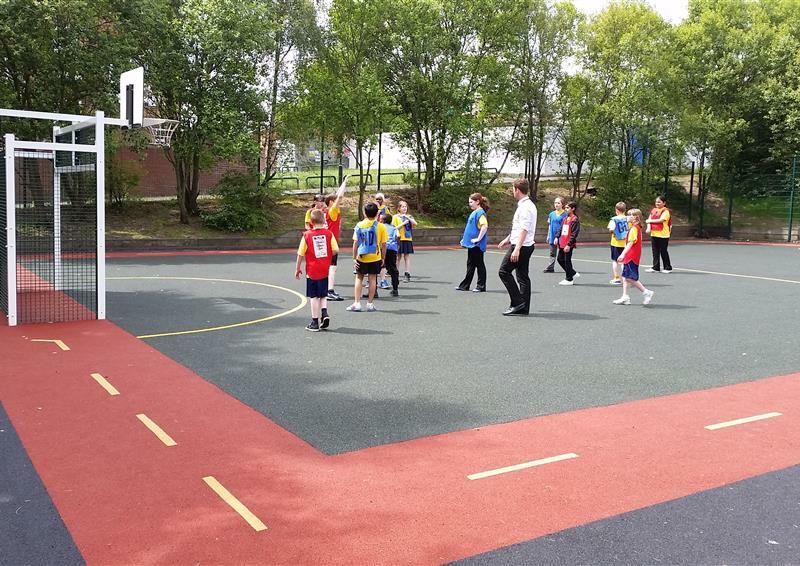 Our Kickabout Areas are a cost effective MUGA solution for your school playground. 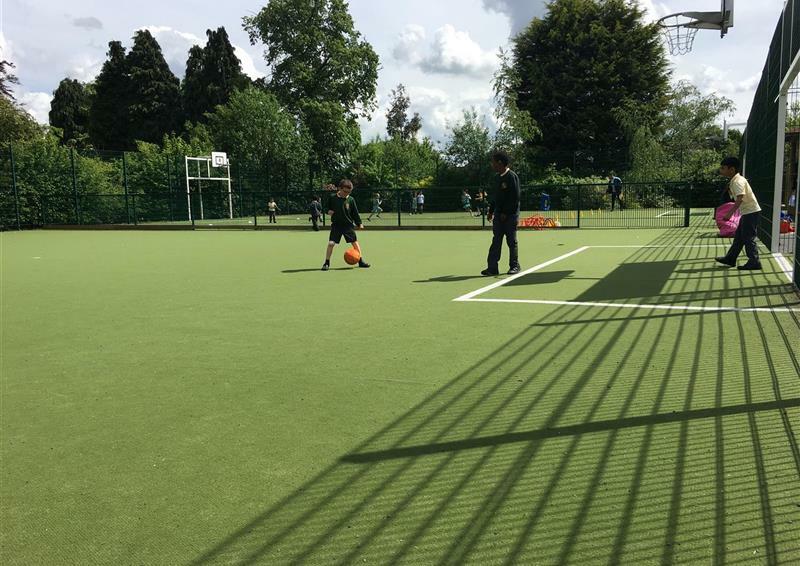 Our Multi Use Games Areas can be designed and installed exactly to your requirements and Pentagon Play manage the entire process from design through to installation. 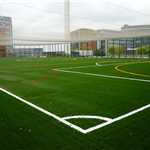 Choose from 2G, 3G, 4G and other Polymeric surfaces which all include a shockpad underlayer and excellent drainage. 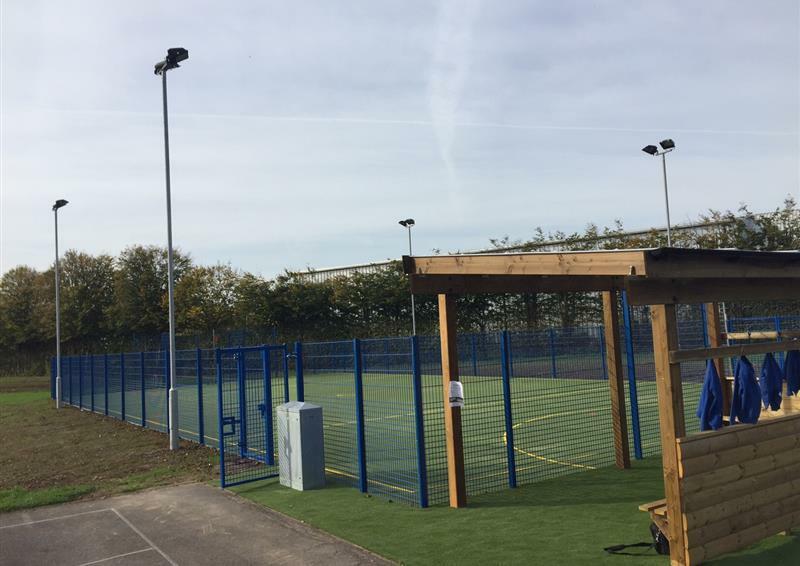 The area can be enclosed from the rest of the playground using robust, welded mesh fencing systems which include Rebound Panels and Recessed Goals. 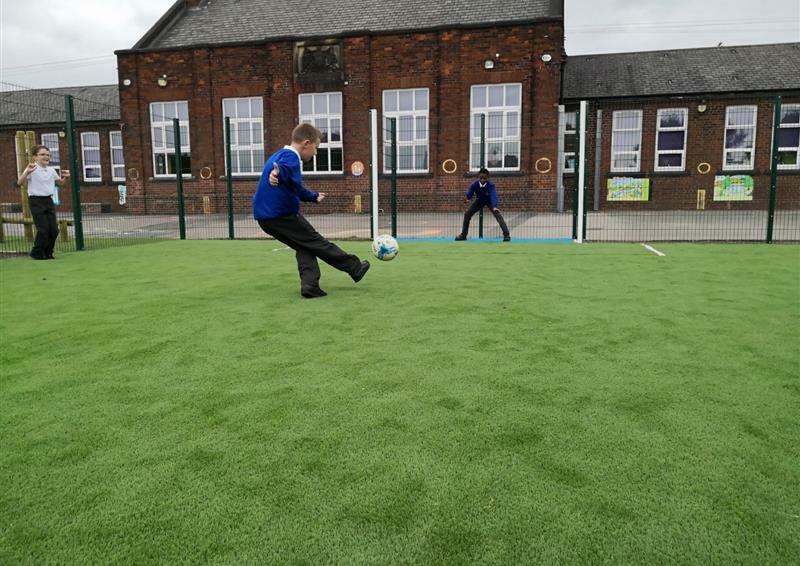 All of our MUGAs are built to Sport England's standards and our artificial grass has passed FIFA's rigorous durability tests.